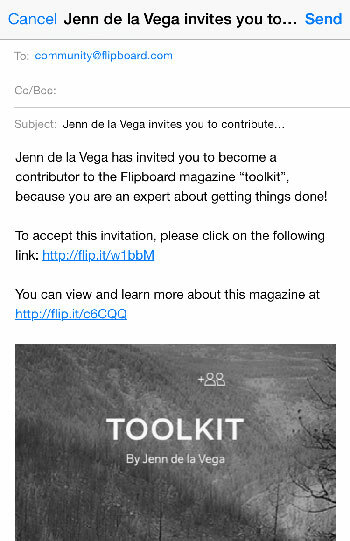 Adding contributors to your magazine can create a new dynamic for you on Flipboard. Another person’s perspective can expand your reach and round out your magazines with articles you may not have thought of or discovered yourself. Invite and motivate a friend who is trying the same diet as you or flip funny stuff to keep a group entertained on a trip. Tag-team on different days, weeks or months. 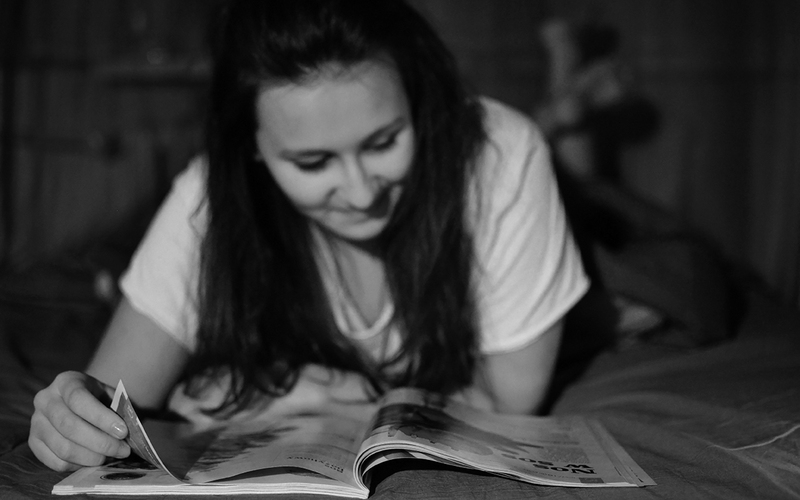 Groups can benefit from magazine collaboration, too. For example, sports teams can collect practice advice for each other, editorial groups can stage articles, students can gather homework notes, and parents can plan an upcoming event or trip. On the web, visit any of your magazines and click on the “Invite Contributors” button. You will be able to extend an invitation to your contacts via email. Perhaps add a contextual note about why you’d like them to work with you on this magazine. No answer to your invite? Please note: these invitation links are active for one week or you will have to re-invite. Sending multiple unsolicited invites can also be construed as spam, so make sure your invitee is expecting it. If a contributor is abusing your magazine with spam or off-topic articles, get in touch via email (since you used it to invite them) or you can remove them by tapping on the share icon and bringing up the “More options” menu. Select “Edit Contributors”, then “Edit” and remove accordingly. Do you work well with others? Tell us about your group mags by tweeting @FlipboardMag.